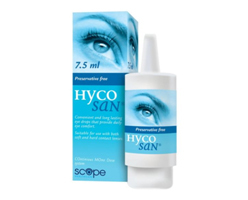 Hycosan is a sterile preservative eye drop which is ideal for mild to moderate symptoms of dry eye. It contains 0.1% Sodium Hyaluronate, Citrate Buffer, Sorbitol & Water. Hycosan Eye Drops are one of the most widely used varieties on the market. 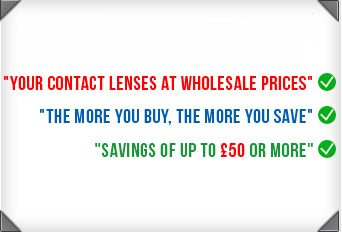 Wearing contact lenses can aggravate dry eye problems, resulting in serious discomfort and even pain, as well as blurred vision. 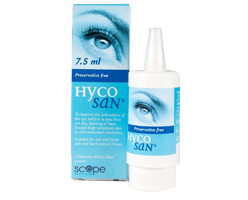 Hycosan Eye Drops are gentle but effective formulation which boosts the eye's natural moisturisation mechanisms. The recommended dose is three drops in each eye per day. One 7.5ml bottle will last for just over a month.